this room fits the bill perfectly! more about Montanino and his art below! to view and purchase more of his artwork! I love your style, Mary! Know I could happily live in your artist's living room. 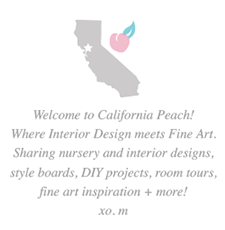 You've got a great artistic eye & I look forward to catching up on the California Peach blog! Thank you for including my Deliveries Only sign here. 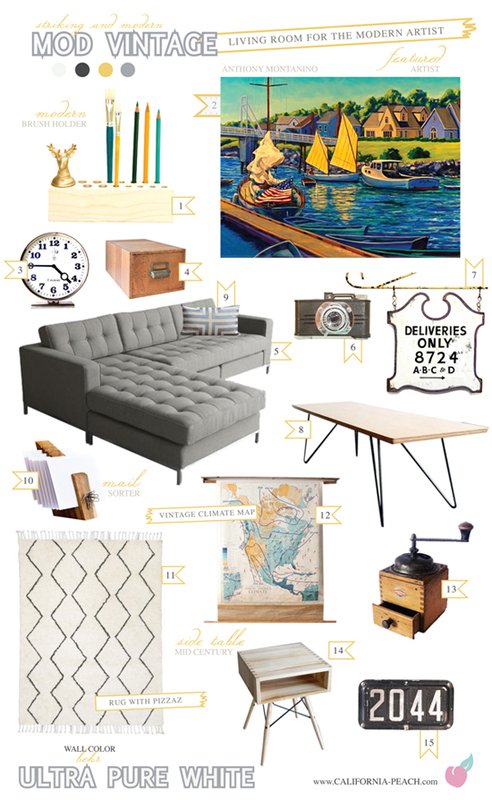 My dream living room! Thank you for introducing me to this brilliant artist! I am sure to keep checking back to this blog!